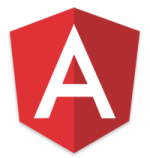 Angular 6 is out and it offers some great new functionality in the CLI and overall framework. One of the biggest new features (IMO anyway) is the CLIs support for schematics and the ng new library command to create and publish libraries (a big pain point that is now simplified). But, I digress….this post is about upgrading an application. Click here if you want a quick look at all of the great new features. I have a large project I’m working on that’s still in development so I decided to take the plunge and try out some of the new features to upgrade from Angular 5 to Angular 6. Here are the specific steps I went though along with some commentary along the way. Additional upgrade documentation can be found here. 2. From there I went into my project’s root folder (where package.json lives) and ran the following command. This command updates your package.json file to the latest Angular-related package versions. I was happy to see that it left all of my other dependencies alone. One of the unsung heroes of the CLI is the ability to do dry runs using the --dry-run or -d switches. You can use that here to see an overview of what will happen without actually affecting anything in your project. I use -d all the time when generating new files with the CLI to see what impact a given command will have. Note that there are some other options you can pass to ng update which I’ll mention below. 3. From there I ran ng build just to see where things stood code-wise. Everything built perfectly….no….no it didn’t build perfectly. False alarm. OK – I have some work to do but fortunately it all seems related to some RxJS 6 changes. More on that in a moment. Could not find module "@angular-devkit/build-angular"
6. I added this new dependency into my project’s package.json file and after running npm i tried out ng build again. While the previous error was gone, I hit a ton of RxJS errors (which was expected since I saw them earlier). RxJS has been changed in v6 to support better tree shaking and to simplify some of the import statements and some of these changes were causing the build errors as a result. You can find the RxJS upgrade guide here. The errors mention not being able to find an rxjs-compat package. You can use that package if you want to leave your existing RxJS code “as is” and not take the time to move it completely to v6+. I had thought that the ng update command would automatically add the rxjs-compat package but it was nowhere to be found in my updated package.json file. While I could easily add it, I decided I was going all the way – out with the old and in with the new! Keep in mind that if you’re using 3rd party libraries that rely on RxJS you’ll need to add rxjs-compat into your package.json for now until the library is updated to use RxJS 6+. 7. The errors that were now showing (and there were a bunch of them) were due to changes in how RxJS symbols are imported with RxJS 6+. I had already moved to using piped operators (an optional change in RxJS v5.5) so I didn’t have to change how I was using operators such as map, catchError, filter, concatMap, etc. You’ll want to move to piped operators if you’re still using the older chained operators. I did have to make the following changes to all of my RxJS imports though throughout the project (RxJS import changes can be found here). You’ll notice that the changes are simple (and quite predictable). See the note below for an automated way of doing this update. Note: Igor Minar (Angular team core member) let me know about a package called rxjs-tslint that can help automate the process of moving from RxJS 5 to RxJS 6. You can get more details about it here. After installing it you can run an rxjs-5-to-6-migrate command or update your tslint.json file to run it as part of your linting process. 8. POW! Everything compiled at that point which was good to see especially since I hadn’t spent a ton of time on the migration. But, compiling is one thing. Running in the browser without any new errors is quite another thing. So did it work??? 9. YEEEESSSS! The app loaded and worked as expected – no errors in the dev console. I ran my Cypress.io end-to-end tests and everything checked out. While that’s a very minor change, the big benefit is in some of the enhanced tree shaking that the build process can do now. While each project always has its own unique challenges, I found the migration to Angular 6 nice and smooth overall. Some of the RxJS changes were a bit painful, but I like the changes due to better tree shaking and fewer import statements moving forward. I also could’ve chosen to use the rxjs-compat library to keep the existing RxJS code working “as is”. I didn’t do that, but it’s a nice option to have if you want to move forward to v6 but not worry about changing imports and chained operators (if you aren’t using piped operators yet). Updating to the new angular.json file format also adds benefits that I can leverage down the road such as CLI workspaces, ng generate library support, and more. This project didn’t have many external dependencies on 3rd party libraries and I suspect some of those may cause migration challenges for other projects. That’s a key scenario where you’ll likely need to use rxjs-compat if the target library is using RxJS. But, in the end I spent less than 2 hours doing the upgrade plus writing this post while doing it….not bad at all!